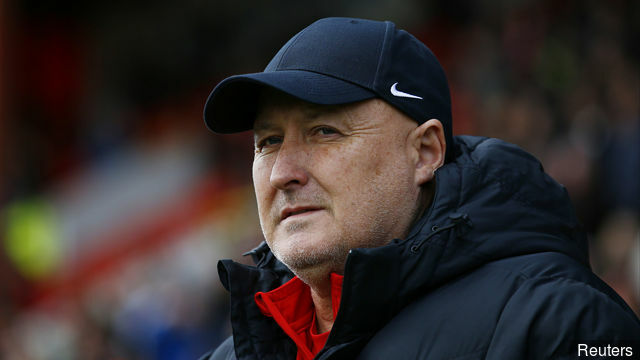 Former Coventry City manager Russell Slade has been appointed as the new manager of League Two side Grimsby Town. Just over a month after being dismissed by The Sky Blues, Slade has taken the reigns at The Mariners for the second time in his career with the side currently sat 14th in League Two. Slade admitted at his first press conference this morning however that taking The Ricoh Arena hot seat back in December was a mistake and that he didn’t do his homework on the role beforehand. The former Charlton Athletic, Leyton Orient and Cardiff City boss was only in the role for eleven weeks before departing through the exit door, and in that short time he only oversaw one league win; a home game against Gillingham. Slade did however get The Sky Blues into the Checkatrade Trophy Final at Wembley, which successor Mark Robins took charge for. Slade will come up against The Sky Blues next season in League Two, with it an almost certainty that The Sky Blues will be relegated in the next week.